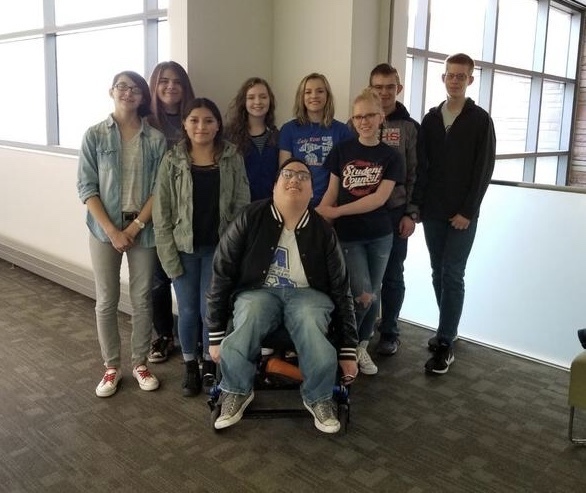 The Akron High School Knowledge Bowl team competed at the state tournament on March 18th and 19th. The tournament was held at the CSU campus in Ft. Collins. After eight oral rounds and two written rounds, the team placed 4th in the 2A division. There were twelve schools representing the 2A division. The Akron team challenged teams from every corner of Colorado, and it spent most of the tournament playing schools in 3A-5A classifications. Some of the schools they played were Pine Creek, Horizon, Palisade, Manitou Springs, Durango,and Roosevelt. An oral round consists of 50 questions, and there are three teams per room competing for the correct answer. A written round is a four-member team that can work together answering 60 questions. Seniors on the team include Levi Kipp, Cheyenne McGuire, Tayler Clarkson, Derrick Poss, Kate Pachner, and Anthony Dreher. Other members are Brandy White, Ivonne Lozano, and Daisha Riofrio.